“Let’s Resist” is a photo, video exhibition and an interactive yarn installation/urban intervention to commemorate nonviolent resisters and spread their individual stories. 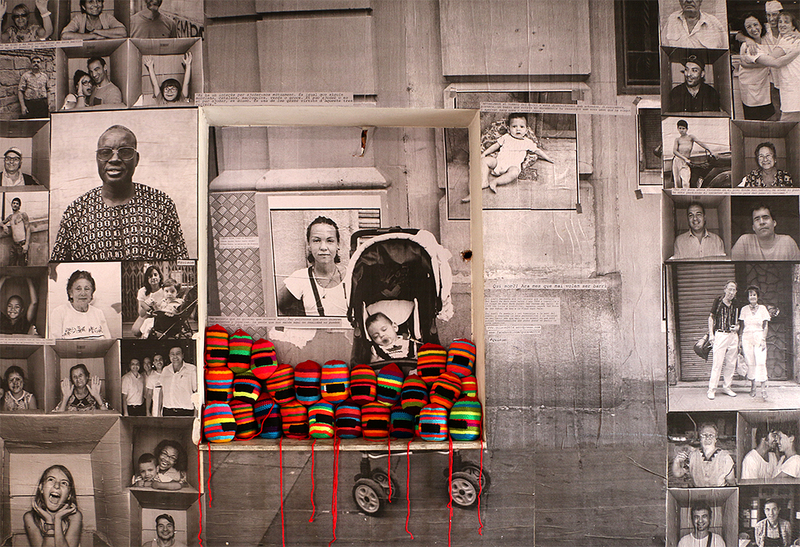 It has two components: an interactive installation of colorful, crocheted heads and photographic documents of urban interventions that place these sculptures at various protest sites (see floor plan attached). The interactive installation represents a diverse group of people occupying, marching, barricading against crackdown of repressive systems. A barricade protects and separates the soft, colorful, abstract bulls-eye “heads” targeted by an aggressor who varies depending on the cause. Their black covered mouths hold little papers of resistance stories while serving as a metaphor for the media’s lack of objective coverage of the human side of these movements. This project started as my attempt to abstractly document the Gezi Park protests in Istanbul without the proximity of a recording device or physical presence. 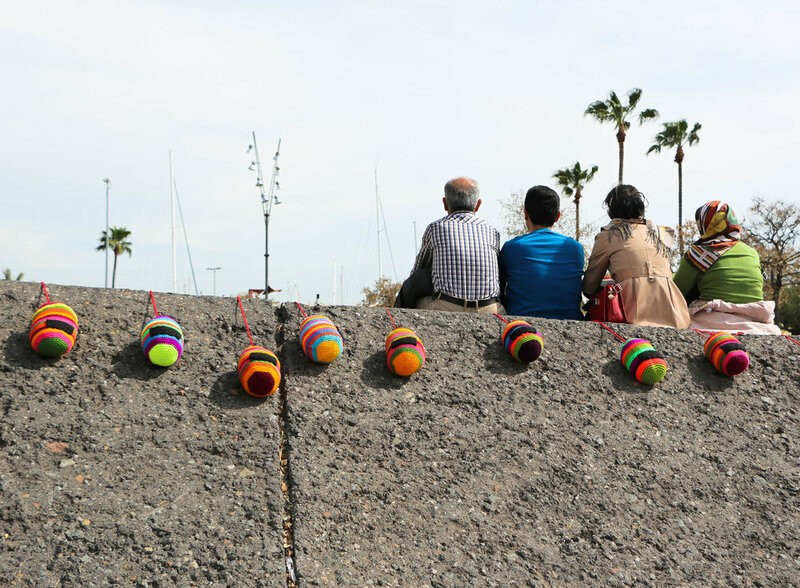 During my artist residency at Jiwar Creation and Society in Barcelona, I expanded this installation to reflect Barcelona-based civilian groups’ and activists’ efforts. 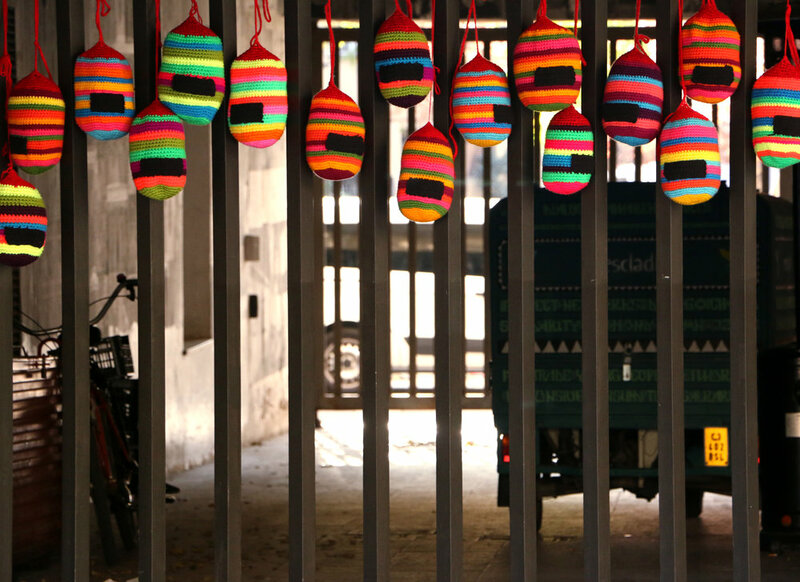 After attending local protests or collecting communities’ stories, I installed my crocheted, colorful, abstract “heads” representing the activists at locations of resistance and recorded them. During the interventions, my work acts not only as a memorial to honor activism but also as a messenger to disseminate information about the relevant cause and people’s efforts. Exhibiting the photos and videos from these sites, along with the installation at a gallery setting creates yet another platform to honor activists fighting for a cause and disseminate their stories that are untold on the media. 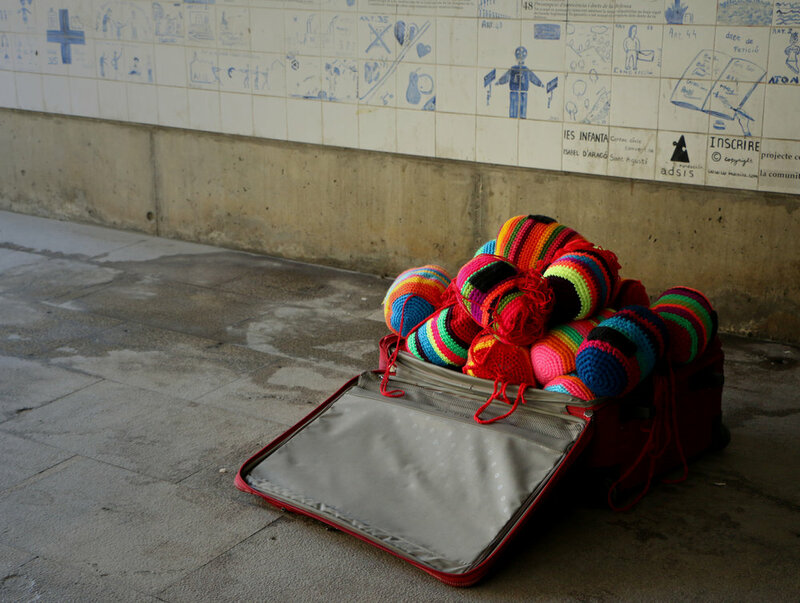 “Let’s Resist” is an interactive yarn installation/urban intervention to commemorate nonviolent resisters and spread their individual stories. It started as my attempt to abstractly document the Gezi Park protests in Istanbul without the proximity of a recording device or physical presence. During my artist residency at Jiwar, I expand this installation to reflect Barcelona-based civilian groups’ and activists’ efforts. 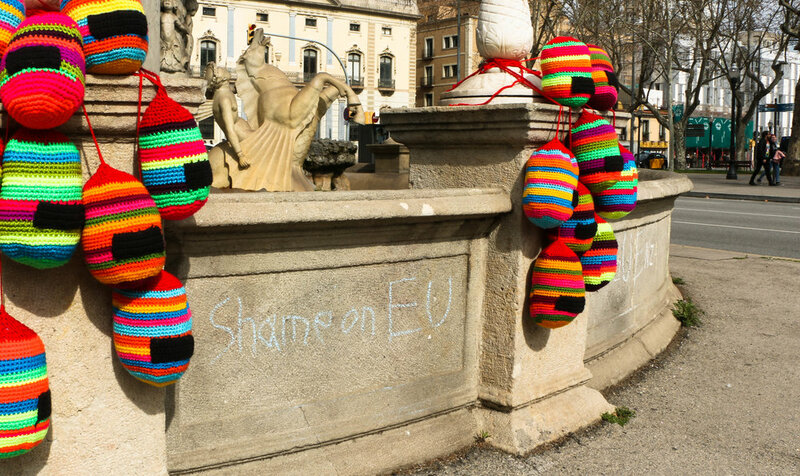 After attending local protests or collecting communities’ stories, I install my crocheted, colorful, abstract “heads” representing the activists at locations of resistance and record them. During the interventions, my work acts not only as a memorial to honor activism but also as a messenger to disseminate information about the relevant cause and people’s efforts.